Have you ever installed a new system or process only to learn you are not getting the results you need and you are spending a ton of resources (time and money) on making the system work? How hard is it to get people to rethink the problem and fix the system? How many more resorces are being spent on the fix? Do you need help determining what your strategies and tactics should be? 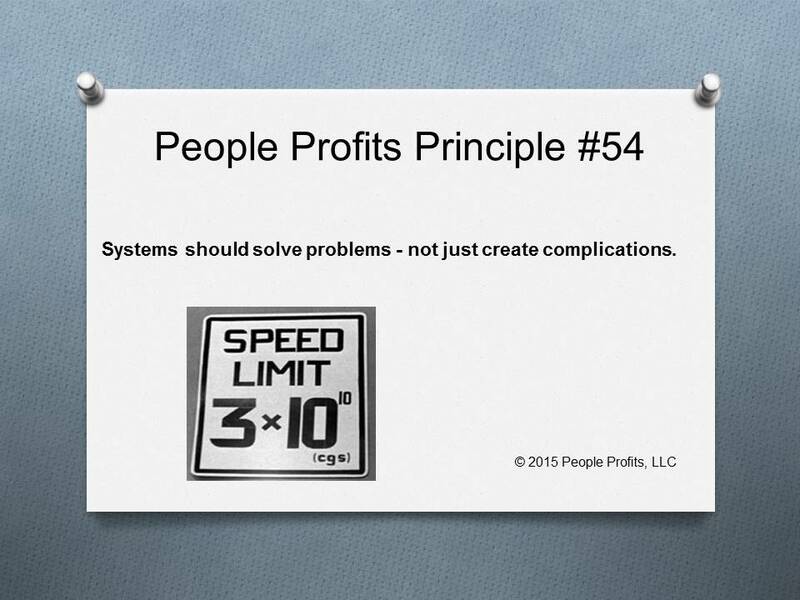 Complicated systems can lead to lots of activity, infinite amount of frustration and few results. Most of the time, convential wisdom seems to direct us to even more complicated systems, additional activity and even fewer results. If you are not getting the results - then maybe you need to reexamine the problem. Can we help?